Roddy Doyle has come out with another one of his excellent 'pub chats' on Facebook; this morning's edition deals with the sudden passing away of the legendary David Bowie. He's tackled everything from drones to Star Wars in previous editions, some more serious than others but always witty and clever. However, you can tell that there was a bit of pain in Doyle's heart as he wrote this morning's piece about the untimely passing away of David Bowie. There's no doubt that Doyle was a big fan. 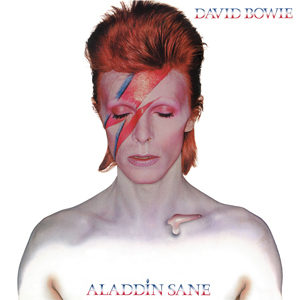 He describes an anecdote of how one of the characters almost goes to work while still wearing the 'Aladdin Sane' face paint that he had worn out the previous night; not really out but down beside the chipper with his mates. While reading it you got the feeling that this is something that he might have actually done in his own youth. That's Doyle's quality as an author though, I suppose! How can Bowie be dead? He was never alive, like the rest of us. So succinct but so true. RIP, Bowie.